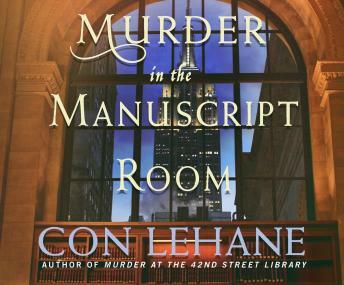 When a murder desecrates the halls of New York City's iconic 42nd Street Library, Raymond Ambler, the library's curator of crime fiction, has a personal interest in solving the crime. But his quest to solve the murder is complicated by personal entanglements involving his friend-or perhaps more-than-friend-Adele Morgan. Not only does Adele's relationship with the staffer who was murdered get in the way of Ambler's investigation but her growing interest in a darkly handsome Islamic scholar disturbs him. When the Intelligence Division of the New York Police Department takes over the case from NYPD homicide detective Mike Cosgrove-Ambler's friend and sometimes partner-in-crime-solving-Ambler suspects that the murder of the young woman and the curious intervention of NYPD's intelligence division are connected. But with the city's law-enforcement establishment determined to stop his investigation, the inquisitive and intrepid librarian faces challenges that may put his very life at risk.